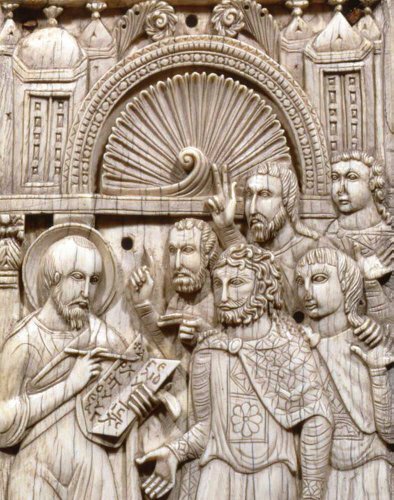 This groundbreaking volume explores the epochal transformations and unexpected continuities in the Byzantine Empire from the seventh to the ninth century. As the period opened, the Empire's southern provinces—the vibrant, diverse areas of North Africa and the eastern Mediterranean—were at the crossroads of trade routes reaching from Spain to China. These regions experienced historic upheavals when their Christian and Jewish communities encountered the emerging Islamic world, and by the ninth century, an unprecedented cross-fertilization of cultures had taken place. This extraordinary age is brought vividly to life by leading international scholars, their writings accompanied by sumptuous illustrations of the period's most notable arts and artifacts. Resplendent images of authority, religion, and trade—embodied in precious metals, brilliant textiles, fine ivories, elaborate mosaics, manuscripts, and icons, many of them never before published—highlight the dynamic dialogue between the rich array of Byzantine styles and the evolving Islamic aesthetic. With its masterful exploration of two centuries that would shape the emerging medieval world, Byzantium and Islam provides a revelatory interpretation of a period with profound ramifications for the modern era. Helen C. Evans is Mary and Michael Jaharis Curator for Byzantine Art in the Department of Medieval Art at The Metropolitan Museum of Art, New York. Brandie Ratliff is research associate for Byzantine Art in the Department of Medieval Art at The Metropolitan Museum of Art, New York.